Located within the city of Port Charlotte and West of the Myakka River in Charlotte County, South Gulf Cove is a subdivision of thousands of lots, over half of them with deep water canals that lead out to open water via a lock system. 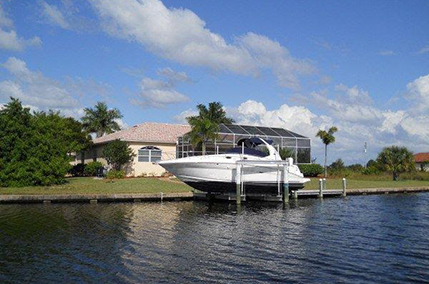 Once you get out of the lock system which is a very simple self-run process that only take 15-20 minutes, you are out in the Myakka River and to Charlotte Harbor in minutes. From there, you can head down the ICW or into the Gulf in a short time. Very affordable water front or non-waterfront living with quick access to shopping, restaurants and beaches in Manasota Key or Boca Grande.